We at Mosquito Squad of Frederick are proud to live and work, and serve the resident of Frederick County. Movoto.com, in a recent article, ranked Frederick County the 9th best county to live in. The article mentioned all the economic figures that make Frederick so great, but we at Mosquito Squad of Frederick Maryland feel there is much more to it than just economics. When you consider that two of Frederick County’s neighboring counties are also ranked in the top 10, the region is looking pretty good. We think Frederick is great for reasons not mentioned in the article, the people and charm of the area. Ok, Movoto did mention some of Frederick’s charm, calling it “Beautiful nature”. 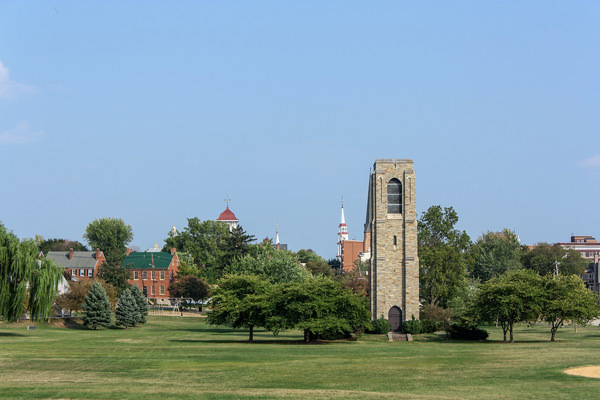 We love the fact that Frederick’s Historic district is charming and fun, and yet it is very easy to go for a ride in the country, enjoying forests and farms anywhere you go in the county. If you are into history, Frederick is a short drive from Gettysburg, PA, Antietam battlefield, Harper’s Ferry, and Washington DC. For outdoor enthusiasts, there are numerous options to enjoy such as, Baker Park with its famous Carillon. As well as in Maryland, the Appalachian trail runs along the South Mountain ridge line in Frederick and Washington counties. About 40% of Maryland’s portion of the Appalachian Trail lies in Frederick County. Mosquito Squad of Frederick is proud to be located in such a wonderful area that offers so much to all outdoor enthusiasts and nature lovers. Another interesting fact is that Frederick county has 2 of the only 3 covered-bridges that are still active in Maryland, these include Baker Park’s and Lloyd’s station’s bridge. Movoto’s criteria seems to be mostly based on economics, ranking Frederick counties’ median income number 16 in the country, stating that the poverty level is the 5th lowest in the country. We love Frederick’s charm. Good job, Frederick County. By the way, Montgomery County, MD is ranked number 8 in the survey, while Loudon County, VA (also a neighboring county) came in number one. Some of us think Frederick is better than both of those places. Perhaps that’s why so many people are moving to Frederick from Montgomery County?